Are you a freelancer who got your first ever payment from your client then received this email from PayPal? In pending balance? Seriously? And you'd have to wait for 21 days for it to be available? You've already worked for it so why wait again for almost a month to get it? I searched for a workaround for our situation but most of the posts/blogs about it are for sellers of goods/stuffs who can fill up the shipping info to receive their funds faster. What about us who does not sell goods, who only provides services? So I decided to look for a solution and share it here if it worked. The fact that I'm writing this post means it worked for me. According to the email (see photo above), if I provided a service or sold an intangible item that doesn't require shipping, I just need to mark the order as processed. And that's what I did. However, what does PayPal mean by "provide details on the Transaction Details page"? I've searched everywhere in the transaction details where I can possibly edit and provide details, but there's none. So I emailed their support to ask what exactly do they mean by that. I received a reply from them the next day and that email contained the very simple solution that I needed to release my funds from pending balance. 1. Just go to the said transaction put on hold by PayPal. 2. Click on Edit Shipping info and choose "Order processed" in the drop-down menu. 3. 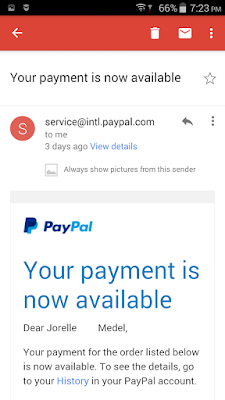 Now you've done your part, just tell your client to confirm it (he/she might have to root around in his/her PayPal account to find the button or just check his/her email from PayPal to confirm the payment). And that's it. Just wait within 3 days for it to reflect in your Balance after your client confirms the payment. 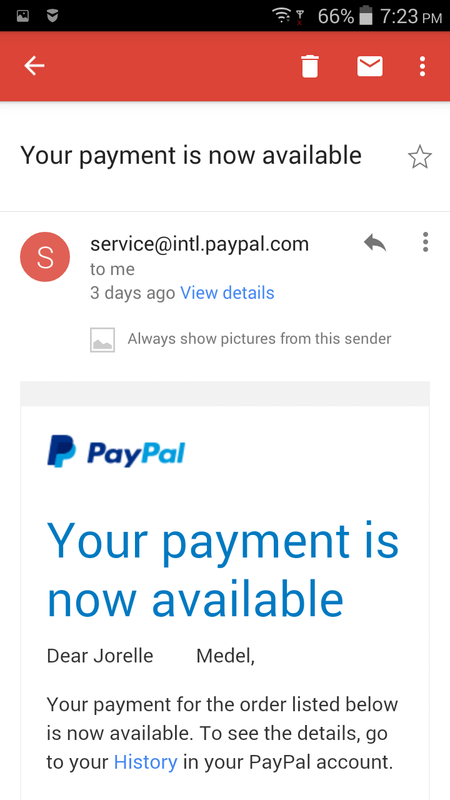 You will also receive an email notification from PayPal confirming the availability of the funds to your account. Mine reflected within 24 hours surprisingly. Figured my client sends the payments before by "Family/Friends" option so PayPal does not consider me as a seller and the funds appear immediately, without a fee, in my account. 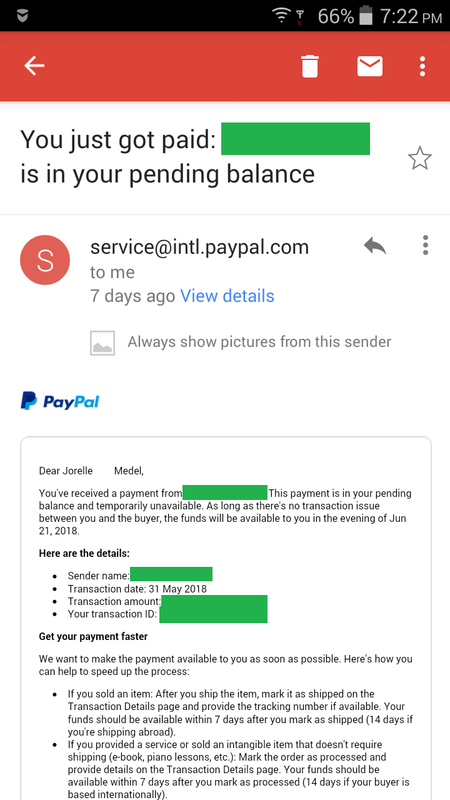 Now that my client has made a PayPal account for the business, my remuneration was sent as a payment for goods/services and PayPal considered me as a New Seller and has put the payment on hold for 21-days (for Buyer protection chu-chu daw, because I don't have an established history as a seller daw) and PayPal has now deducted a fee. Maybe PayPal has figured how freelancers are getting paid without a fee through that option. I'll try to look for another way to receive my funds with lesser fee, but if PayPal's fee is lesser than the others then I might just stick to it. An Epic Fail Birthday Party Surprise!